High quality thanks to advanced design concept and much years manufacturing experience. 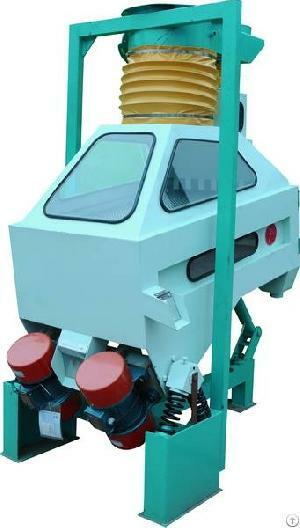 TQSF series specific gravity de-stoner is newly designed high efficient equipment specially for the cleaning of corn (maize). The equipment adopts the most advanced �Reverse cleaning theory�, it is employed for the efficient removal of high-density matter and low-density impurities from the grain stream which provides additional protection to downstream process, and wear is reduced significantly. It is a wonderful choice for grain intensive processing plants both in china and overseas. TECHNICAL PARAMETER pls inquiry us.